Google is running into problems with privacy advocates in Japan and Greece over its Google Maps feature, Street View. Google plans to re-shoot Street View photographs in the twelve Japanese cities currently available in Street View after privacy complaints. 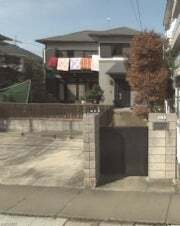 At issue was the fact that Google's Street View cameras were mounted so high they were shooting over private fences and into Japanese homes. 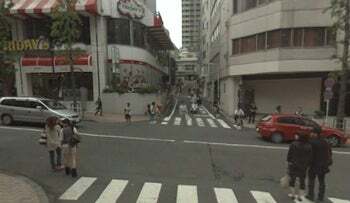 Google says it will lower its cameras by 16 inches for its re-shoot and for all future Street View photographs in Japan. Street View cameras are mounted on cars and take photographs with 360-degree views of the surrounding area. Google is having more serious problems in Greece, where privacy officials have suspended Google's Street View project altogether. The Hellenic Data Protection Authority wants more information from Google about how long it plans to store photos and how Google will protect personal privacy before the HDPA allows Google to continue shooting in Greece, according to CNN. In both Japan and Greece, Google plans to blur license plates and human faces as it has done in other countries where Street View has taken photographs. Despite being a popular feature on Google Maps, Street View has run into problems with privacy advocates around the world. When Street View debuted in 2007 in the United States, Google quickly came under fire for displaying clear shots of people going about their daily lives. These included embarrassing shots of people sunbathing, breaking into homes, and smoking cigarettes outside their offices. At first, Google said it would remove shots of people and blur license plates in Street View if they received a complaint over a specific image. Google's policy did not satisfy privacy advocates, however, and within a year of Street View's launch Google was using facial recognition technology to blur all human faces in Street View as well as license plates. Since Google's initial privacy troubles the company has rolled out Street View in more than ten countries, and so far Google has been able to deal effectively with privacy concerns. In May 2008, The European Union urged Google to observe local privacy laws in EU member states before Google began the Street View project in Europe. Google has complied by rolling out Street View in EU member states only after consultations with local authorities. Last month, the British government's Information Commissioner's Office decided not to ban Google Street View from the United Kingdom after receiving a complaint from Privacy International, a worldwide privacy watchdog. In February, A Pennsylvania judge threw out a lawsuit against Google filed by a Pittsburgh couple whose home appeared in Street View. The suit charged, among other things, invasion of privacy and trespassing. In that case, Google removed photographs of the home from Street View at the homeowner's request. For a look at some of the more interesting photographs in Street View check out "Strangest Sights in Google Street Views."